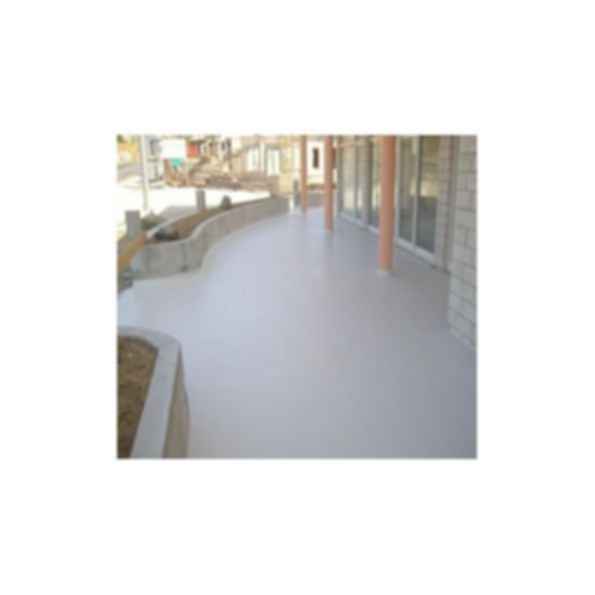 Rhino™ 9700 - A Novolac Epoxy Coating & Lining that is a high quality Bis-F epoxy with superior chemical and abrasion resistance versus Bis-A type epoxy resins. This tightly crosslinked epoxy system cures in the presence of moisture and humidity with excellent mechanical properties. Rhino 9700 mixes using the industry standard, 2:1 by volume ratio. Having low odor, Rhino 9700 contains no solvents and is 100% solids that assures ease of application. Rhino 9700 Novolac viscosity is well suited for vertical applications. Since the company's inception in 1988, the mission of Rhino Linings Corporation has been to develop top-quality proprietary, high performance polymers. Rhino Linings takes pride in developing protective coatings products that time and again dominate the spray on lining market for industrial, commercial and retail applications. As the brand name leader in the sprayed-on truck bed liner industry, consumers have come to know and trust RhinoÂ® protective coating quality, strength and durability. Due to Rhino's strong brand presence and expansion of product lines, the company has continued to experience solid growth with each passing year. The Rhino LiningsÂ® network consists of more than 2,000 applicators and contractors in more than 80 countries around the world. With top-performing polymer formulations, state-of-the-art application equipment and the quality hallmark of ISO 9001:2008 registration, Rhino Linings will continue to set the standard in the protective coatings and building product industries. Rhino Linings offers World-Class Protectionâ„¢ and continues to contribute substantial investments in distribution centers throughout North America, South America, Europe, Southeast Asia and the South Pacific. With these distribution centers, Rhino Linings is able to provide a stream-lined inventory model and prompt shipments to all locations across the globe, regardless of quantities required. Clients enjoy confidence in uninterrupted material supply. Today, a growing number of domestic and international applicators and distributors offer Rhino Linings specialized formulations, comprehensive system packages, practical experience and professional support...all elements necessary to create mutually-successful long-term business relationships.